The worldwide market for High Performance Composites is estimated to grow at a CAGR of 4.9% between 2018 and 2026. Polymer materials or products containing advanced fiber reinforcements are expected to witness the fastest growth in demand from a wide range of industries over the forecast period. Tremendous growth of the commercial aircraft manufacturing sector will boost product demand in the current industry scenario. Moreover, application of these composites in manufacturing of pressure vessels and wind turbines is yet another potential factor expected to drive the market in the next few years. However, the labor intensive requirements along with relatively high production cost are some of the restrains anticipated to effect demand of high performance composites in terms of volume especially in the price sensitive markets. Widespread application of these products in automobiles, which is a primary goal for the carbon fiber industry, is still in a stage where use of these products in motor vehicles is still the minimum. These products are expensive to its counterparts and are too slow to process, to be used in the mass market models that are manufactured in current assembly lines. But several national governments and industry participants are working hard to cut down the cost of these products substantially, to meet the efficiency standards which are going to get more complex in the near future. These products from being a niche market in the recent past has found several applications starting from the aerospace and premium car segments to several technologies that are transforming the daily life such as gas tanks, wind turbines and alternative fuel powered motor vehicles. 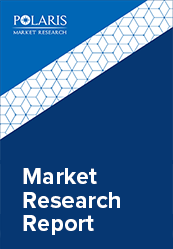 The global high performance composites market is segment based on resin type, fiber type, application sectors and the regional markets. The different types of resins includes in the report scope comprise of high performance thermoplastic composites and high performance thermoset composites. Thermoplastic is further subdivided into Polyether Ether Ketone and polyphenylene sulfide. The high performance thermoset composites are segmented further into epoxy, polyester, phenolics and cyanate esters. The types of fiber included in the report scope comprise of aramid fiber composites, carbon fiber composites, S-glass composites and others. The application segment is further divided into automotive, defence & aerospace, construction, medical and others. Carbon fibre composites were the leading product segment in 2017. The growing aerospace industry is the major factor driving this product demand owing to their versatility, perfect balance of mechanical properties and most importantly its low cost compared to other composite materials. The S-glass category, the least costly of all these is also anticipated to witness a significant growth in demand owing to significant opportunities in wind energy, aerospace and pressure vessels manufacturing industry. Defence & aerospace was the leading application segment in 2017 and also projected to emerge as the fastest growing by 2026. As these products have found applications in military air crafts from a very long time, they have also found applications in commercial airliners on large quantities. Boeing 787 DREAM LINER, which has over fifty per cent of high performance composites is the primary application product in the present industry applications scenario. North America was the leading regional market in 2017. U.S. has been the major contributor to the regional demand for these products accounting for over 45% of the overall market in terms of production and even consumption especially for the aerospace and defence industry. The construction and automobile industry are also potential end use markets. Asia Pacific is expected to be the fastest growing regional market by the end of 2026. The developing automobile and aerospace manufacturing base is projected to generate significant demand by the initial phase of 2021. Some of the leading industry participants include Arkema SA, Albany International Corporation ,BASF SE, Teijin Ltd., Owens Corning Corporation, Hexcel Corporation, Solvay S.A., TPI Composites, Inc. , Koninklijke Ten Cate BV, SLG Group – the Carbon Company and Toray Industries Inc.